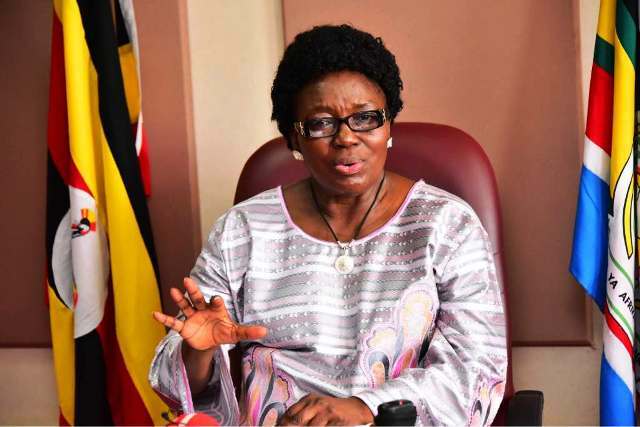 PARLIAMENT- The Speaker of Parliament, Ms Rebecca Kadaga, has said that government officials benefitting from human trafficking are hampering efforts to fight the vice. Ms Kadaga said whereas Parliament and Police have investigated and passed laws barring export of labour, the government has ignored the recommendations and gone ahead to sign agreements with many foreign countries, allowing export of labour where many Ugandans have abused while others have died. “I have discussed these matters before with the Commissioner in charge of Human Trafficking in the Uganda Police Force. Parliament has also investigated these matters in the Committees and Plenary. Last year we stopped government from exporting domestic workers until we have better agreements with the receiving countries,” she said. “Unfortunately, the challenge we have is that within government, there are people who own labour export companies. And I am told it’s a very lucrative business. For instance, after we stopped export of domestic workers, the Ministry of Gender went and signed an agreement,” she added. The Speaker of Parliament was meeting the association of Catholic Sisters of Uganda at Parliament on Thursday who delivered to her a petition, challenging the exportation of labour. The nuns expressed concern to the Speaker about the dignity of the human person, family life and cultural values. Particularly, they were concerned about human trafficking that they said has exposed Ugandans to untold torture, sexual abuse and slavery. “However, I also know that relatives of some of these people are involved in trafficking. They convince them that they are going to get good jobs. Sometime back while I was in Abu Dhabi, I met some Ugandans – they told me about a woman from Kasese who is a major owner of brothels in the UAE and who trafficks,” Ms Kadaga said. “As government, we need to ensure that we have more infrastructure, industries and opportunities, including access to credit and skills training. People go abroad not because they want to live there; they just go because they are desperate. So we have a responsibility to improve facilities and create opportunities,” she added. Uganda is a source and destination country for men, women, and children trafficked for the purposes of forced labor and sexual exploitation. Ugandan children are trafficked within the country, as well as to Canada, Egypt, the United Arab Emirates, and Saudi Arabia for forced labor and commercial sexual exploitation. Under the provisions of section 21 of the preventions of trafficking in persons PTIP Act 2009, a coordination office for the prevention of trafficking in persons was set up at the ministry of internal affairs headquarters to be responsible for coordination, monitoring and overseeing the implementation of the Act. This office facilitates the day to day operational partnership between several stakeholder Ministries, Departments and Agencies (MDAs) which have mandates that relates to human trafficking issues, i.e. prevention of the crime, protection, and support of victims and prosecution of the perpetuators.